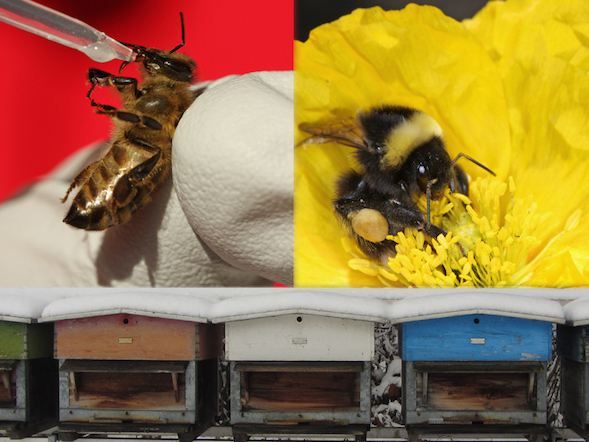 Our priority is to understand and improve the health of bees by performing fundamental & applied hypothesis-driven research, and by transferring knowledge to students, beekeepers and other stakeholders. The charitable Vinetum Foundation was founded in 1986 in Biel, Switzerland to support important social and cultural initiatives within the Canton of Bern. Agroscope is the Swiss centre of excellence for agricultural research, and is affiliated with the Federal Office for Agriculture (FOAG). Agroscope makes an important contribution to a sustainable agriculture and food sector as well as to an intact environment, thereby contributing to an improved quality of life.